E.ON issued the following announcement on Oct. 25. 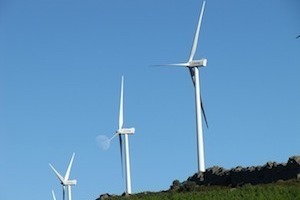 E.ON announced it is partnering with GE (NYSE: GE) to repower its Panther Creek I and Panther Creek II wind farms in West Texas. "We're excited to embark on our first repowering project in the U.S.," said Silvia Ortin, Chief Operating Officer, North America and E.ON Climate & Renewables Board Member. "The repowering of our Panther Creek wind farms provides us with the opportunity to increase lifetime earnings from the sites. In addition, it allows us to capture up-to-date turbine efficiency improvements and a resulting increase in power generation." The repowering includes the replacement of a significant portion of the components, effectively increasing the annual production for all 172 wind turbine generators (WTGs) totaling 258 megawatts (MW) on the sites. "This is the largest repowering project we've undertaken at E.ON and we expect this trend to continue as we see our turbine fleet mature," said Anja-Isabel Dotzenrath, CEO, E.ON Climate & Renewables. "While our Panther Creek wind farms have been excellent performers for us in the past, this project allows us to improve reliability while gaining valuable lessons learned for any future repowering activities." The erection and commissioning of the project will be conducted by GE as part of the equipment delivery contract and is expected to be complete in Q3 2019. "GE and E.ON worked collaboratively to develop a repower strategy for Panther Creek that will extend the life of the wind farms, and materially increase the AEP of the existing turbines," said Vikas Anand, General Manager of GE's Onshore Wind business in the Americas. "The twofold benefit of repower will ensure that renewable energy is available to E.ON's customers for years to come." Panther Creek I came online in September 2008 and consists of 95 GE 1.5 megawatt (MW) SLE turbines for a total of 142.5 MW. It is the first of a three-phase project in West Texas and is located in Howard and Glasscock counties. Panther Creek II, came online in December 2008 and consists of 77 GE 1.5 MW SLE turbines for a total of 115.5 MW. Its footprint spans parts of Glasscock and Sterling counties, Texas.